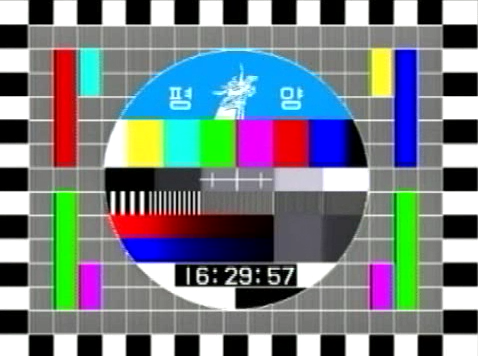 Korean Central Television has appeared on a satellite above the Atlantic Ocean, extending coverage of its live signal to the Americas and Europe. The TV channel, which is North Korea’s main state-run TV service, began broadcasting on Intelsat 21 earlier in April, according to monitoring reports. KCTV has been available for more than a decade on Thaicom 5, which is situated above the Indian Ocean and puts a signal into most of Asia, Africa and Europe, except the extreme western edges. 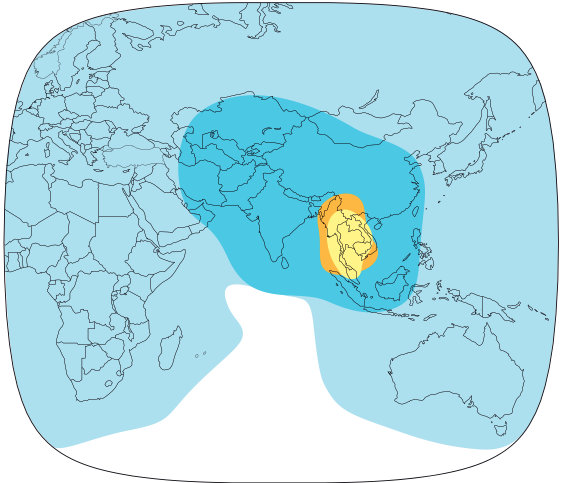 The Intelsat 21 satellite has a footprint that covers all of the Americas and the western portion of Europe, providing coverage to areas not served by Thaicom. The new service can be found on 3840MHz in the C-band. The dish size required depends on the location, but most prospective viewers will likely need a dish at least 1.5 meters in diameter or larger. It’s not receivable on the smaller dishes typically used for pay TV in many countries. In the map above, the darker areas require a smaller dish than the lighter areas. It’s unclear if the new service is permanent or who is the intended audience. 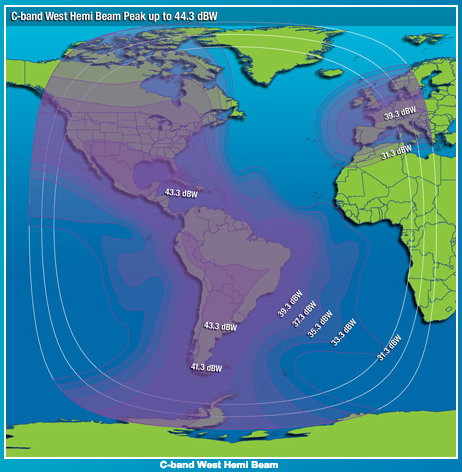 Intelsat 21 is typically used to carry signals across the Atlantic and to cable TV networks in Latin America and isn’t relied upon for direct-to-home delivery. In North America, most foreign TV stations intended for reception by home viewers use the Galaxy 19 satellite, which is situated further to the west and requires a much smaller dish for reception. The precise reception details are: 3840MHz, vertical polarization, SR 27690, FEC 7/8. It’s on transponder 7C, which is also shared with TV5 Monde, Al Jazeera English, Telemundo, Russia’s RT Espanol and Hungary’s Duna World. Intelsat did not immediately respond to a request for comment.